Hi my name is Crystal Stewart and I would like to welcome you to my site, WELCOME TO CRYSTAL’S SITE(ORIGINALLY COUNTRY LIVING): ANIMALS, COUNTRY LIVING AND MORE. My goal is to meet new friends through blogging. I also have another site called CRYSTAL’S PHOTO-BLOGGING SITE. This site is about photos, blogging and much, much more. You can visit the site just by clicking on the above link. I am also a country girl and just love it. I just love cats. I love dogs too. I don’t live on a farm just way out in the country. By living out in the country, I have the opportunity to see all kinds of different animals. Some of the animals I have seen are: Bear, Squirrels, Raccoons, Wild Turkey, Fishers, Different Kinds Of Birds and many other animals. I’ve seen some beautiful sunsets too. The rural town I live in, is in Pennsylvania and is so small you are through it in the blink of an eye. It is a fantastic experience living way in the country because it is so pretty and the animals you see is just incredible. Living out in the country is not only fun but it takes work too. I have lived way out in the country all my life. I love cats, dogs and other animals too. I like listening to the oldies, country and gospel music. I also like to cross-stitch sometimes too. I have an indoor cat named Daisy Mae and she is a joy and a blessing. We have so much fun together. I have been online now for several years now. However, I started blogging in January 2017 when I started WELCOME TO CRYSTALS SITE(ORIGINALLY COUNTRY LIVING) and had so much fun I got another site, CRYSTAL AND DAISY MAE’S PHOTO-BLOGGING SITE in which I started in April 2017. After starting both sites I found I needed to know a little bit more about blogging so I went and took 4 blogging courses from WordPress. 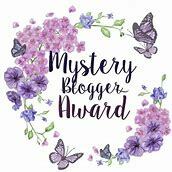 I have managed to get some blogging awards and tags and you to view them you can click HERE. some other accomplishments I have are: I got my cat, Daisy Mae’s picture and story published in the Daily Kitten. It is also posted on my site and LinkedIn. 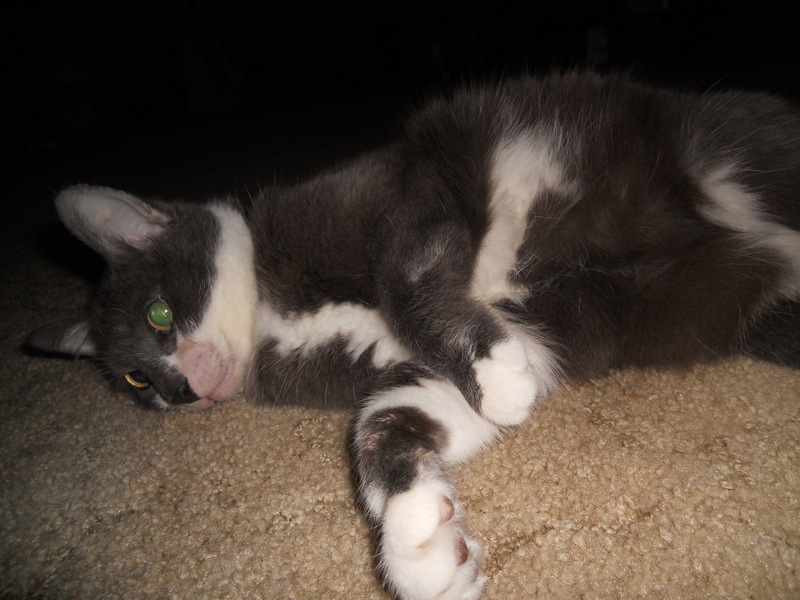 Also, Daisy Mae’s picture has been in Bloglovin’ and Tummy Rub Tuesday. I hope you take time to read it and like it. I was fortunate it enough to be a Guest Author with a story about 2 of my Rescue cats, Tigger and Daisy Mae. I was also a Guest Author on The Recipe Hunter, Supawcute and Pets Overload. Some posts about my cat I have written are: TIGGER AND DAISY MAE: PART 1 and DAISY MAE’S KITTYHOOD: PART 2. I have been fortunate on being a Guest Author on some really great blogs. I may have mentioned this before but I really enjoy being a Guest Author. The sites I have been Guests Authors on are: SUPAWCUTE, Pets Overload, The Recipe Hunter and Happiness Between Tails. Some of the posts I’ve done are an interview which can can be found by going to Meet Crystal And Daisy Mae(Interview) and Supawcute also published a story about Daisy Mae. The story is called DAISY MAE’S KITTY MIRACLE: HER HEART MURMUR AND HOW SHE GOT RID OF IT – PART 3. The link for Daisy Mae’s story is DAISY MAE’S KITTY MIRACLE: HER HEART MURMUR AND HOW SHE GOT RID OF IT – PART 3 . I do hope you check both these links out. I can’t publish it on my site since google has rules. I said Supawcute and Pets overload but both posts were put on Supawcute which is fine because Pets Overload and Supawcute are owned by the same person. The other links I’ve guest authored are: Guest Blog Post: “Adopting a Pet: Do These Things First” by Crystal and Guest: How A New Tradition Got Started, The Results And Recipes. Also, Supawcute/Pets Overload asked me to do another guest post for their site so I have that post which is a work in progress. Being a guest author is fun but a lot of work too. If you’re thinking about blogging for enjoyment or doing it professionally I suggest you take blogging courses before you start blogging. Blogging University for WordPress is great. The best part is it’s FREE. I’m sure some of you are thinking can I blog without taking blogging courses and the answer is yes you can but you should be very computer literate. The link for WordPress Courses is: The Daily Post – Blogging University. Tigger up on the curio cabinet playing queen of the hill. Tigger died 9-11-2015. To find out why I started WELCOME TO CRYSTAL’S SITE(ORIGINALLY COUNTRY LIVING) please go to WHY I STARTED THIS SITE. Please keep in mind the reason why this is so short is because it was done right after I started blogging but it does state why I started this site. It has been updated since I last wrote this so I really hope you click on the link to read it. My faith in the Lord has led me through all the good times and the hard times. I have been blessed thankfully with more good times than hard times. I have a LinkedIn URL and it is: LinkedIn URL. I have a Google+ Profile and it is: GOOGLE+ PROFILE. I have 2 WordPress Blogs and they are: WELCOME TO CRYSTAL’S SITE(ORIGINALLY COUNTRY LIVING) and CRYSTAL AND DAISY MAE’S PHOTO-BLOGGING SITE. Bear Walking Toward The Salt Lick. The Deer Getting Something To Eat Under Sun’s Rays. Turkey Strutting His Stuff For The Girls. **CONTACT FORM** — TO KEEP COMMENTS PRIVATE!! **COMMENTS** — TO GET YOUR COMMENTS TO SHOW UP SCROLL DOWN TO COMMENT/REPLY SECTION. YOUR COMMENTS MAY NOT SHOW UP RIGHT AWAY BECAUSE COMMENT MODERATION IS ENABLED. I’m not sure what you did, honey – above my pay grade. I can tell how frustrated you are, but I can ONLY suggest what I would try – you would probably do better getting help directly from WordPress. They can peek “backstage” to help figure out what you did. I cannot. In edit, I would highlight the whole mess, then click the little eraser-looking thing in the toolbar. It will erase all formatting. Then you can add returns, and other formatting from scratch. Do you understand that if you copy text created in other programs (or from somewhere else online), FIRST you have to click the “text” button – otherwise you import a bunch of garbage you don’t want. That sometimes results in pages like this when you publish them. It could also be a WordPress glitch – I can’t really tell, but they would know. If this makes no sense – or you need help understanding it – go to the wordpress help files and look around for a way to contact them. They have a live chat feature, bu I have no idea how to direct you there. You might also search YouTube for “WordPress.com beginner” – I’ve heard that there are videos there that can show you what’s where and how it works. I REALLY think you’d benefit from the WordPress free Blogging-101 class too. Google it and I’m sure you will be able to find it. They walk you through it, I’m told (wasn’t available when I started blogging). I really have no time to do more for you than this, unfortunately. It’s already going on 2:30 AM where I am and I still have my own work to finish before I can go to bed. Good luck. Do your work first. I asked wordpress forum and waiting for a answer from them. Check out my about page. Got it fixed-YEAH!! Nice to get to know you. I too love animals and never waver in my faith. Blessings to you. This looks GREAT *Crystal* – now I can stop calling you Daisy, too – lol 🙂 The picture of you is a great touch. Well done! Just added wigets too so check those out. Any suggestions will be considered. Love what you have done with your own blog 🙂 Looks really good now! Sorry it’s taken me so long to reply but had no electricity for 2 days. Glad you liked the About Page. A work in progress. allysoally, it is a nice place where I live and with woods around us, we get all kinds of animals in our backyard. Daisy Mae is a sweet cat. Her mother brought her to us and we took her in. I wrote a post on Daisy Mae and her late sister, Tigger. I hope you read it. I think it was called Tigger And Daisy Mae and I wrote a post about Daisy Mae’s childhood. That post was called Daisy Mae’s Childhood: Part 2. I don’t remember the exact name of the posts but this should be close. Enjoy reading them. I hope so and can’t wait to see what you think. Sorry it’s taken a while to get back to you. Troubles with notifications working. It’s Working Today. Just put a post out on Maya Angelou. Date trouble too. This post was published last night but says May 6th. So if you want read it, look for May 6th. I can’t wait to see what you think. Check both of them out. I also invite you to follow me at both sites. Thanks In Advance. Hi Crystal. Thank you for visiting and following HoB. Much appreciated! Hello Crystal! Thank you for following me. I love animals too, especially my dog, Totti. Have a great weekend. I used to have a dog as a pet. Now I have 1 indoor cat as a pet. You have a great weekend too. 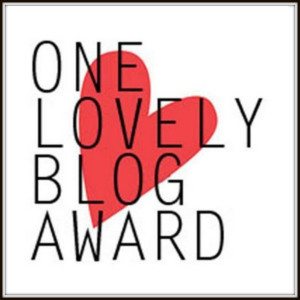 Hi, I would like to let you know that I have nominated you for the One Lovely Blog Award. 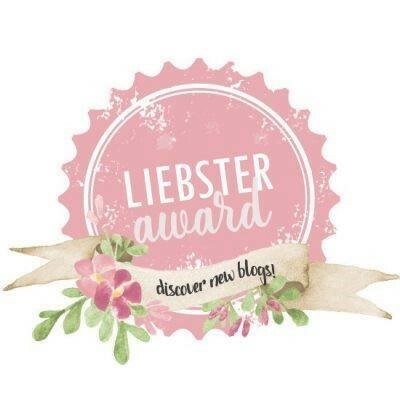 If it interests you, the link is here: https://blogdecompanie.wordpress.com/2017/07/11/one-lovely-blog-award-1/. Please take your time. I would respect whatever is your decision for participating or not. Just please know that I do take delight in your blog and I value all the effort and imagination you put into it. Yours sincerely, Iulia. Thank you it’s an honor and privilege being nominating. 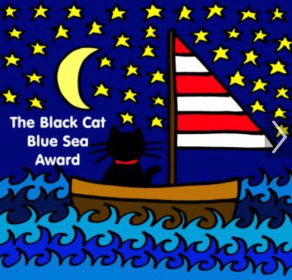 How do I display the award on my site? 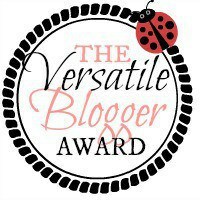 How do I put this Award on my site and post? Help. Please Reply. Hello, I am sorry for seeing your comment so late. Well, you follow the rules, write an article similar to mine in which you thank me :), display the picture, nominate other 15 bloggers and list some things about yourself. 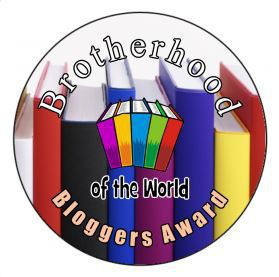 These awards are “pretexts” for knowing one another better and show appreciation towards the work we all put in our weblogs 🙂 I do hope this is not an encumbrance for you. All I wanted to know was more information. I have recipes my mother and grandmother have and used. What kind of Information do you need. I need to know before making my final decision. I hope you understand. You’re Welcome. I hope ore people will come to my blogs. Thanks again. You are on fire! You are going to be a superstar one day! That is a tough question. Daisymae could be a spin off, purely cat blog. It would appeal to cat lover niche. The problem is that you have two blogs running currently, and if you add a third,, you may be over extended with the extra work involved, and all the blogs would suffer. I had 3 once maybe 4 years ago, and I finally had to kill off two of them. But you are not me, so give it a shot if you like! I would look at it. I read the post and liked how you did it. You did a great job.I commented too. I commented on your Awards post. Hi Crystal. I am also a country girl (from Michigan) – blogger. 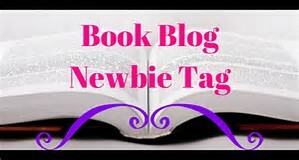 I like your goal of making new friends so decided to follow your blog. You can check out my blog https://donteatitsoap.com/ if you would like. Hope you are having a great day. Then you’ll love both of my blogs. That’s right, I have 2 blogs. They are: http://crystalsphotobloggingsite.wordpress.com and https://daisymae2017.wordpress.com . Both blogs are about more than photos. In fact, my blogs are about Photos, animals, country living, family, poetry and much, much more. I hope you follow both but really hope you follow http://crystalsphotobloggingsite.wordpress.com .